The allegations against the petitioners are vague, omnibus and general in nature and appear to have been made out of frustration just to widen the net and continuation of proceedings against the petitioners on the basis of such bald and baseless allegations is nothing but an abuse of process of law. It cannot be forgotten that there is a tendency to rope in the relatives of the husband in a matrimonial dispute. 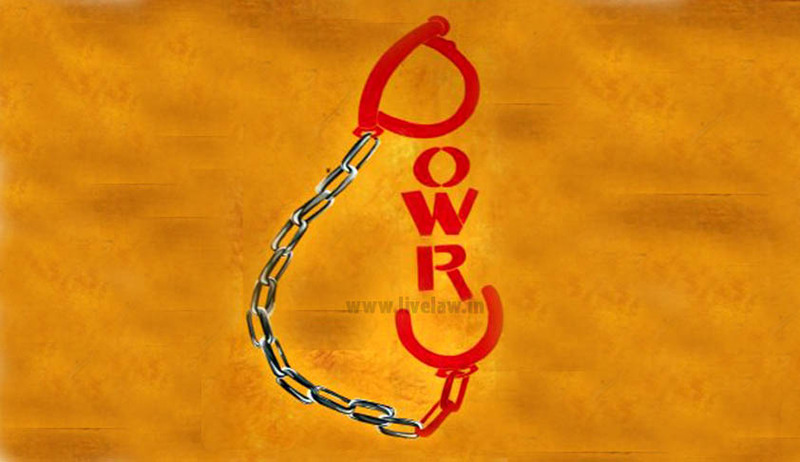 The High Court of Punjab & Haryana in Daljit Singh & Ors v. Sukhwinder Kaur & Ors, sought a more cautious approach to cases related to dowry complaints filed under section 498-A of the CrPC. Justice Anita Chaudhary said there was a tendency to rope in relatives in dowry cases, and before a complaint is registered or a summons is ordered, careful examination of evidence needed to be carried out. In the case, the petitioners were family members of Harjit Singh, husband of complainant Sukhwinder Kaur. Daljit Singh (Harjit’s father), Ranbir Singh (his brother), Sher Kaur (his aunt) and Jang Singh (his grandfather) had filed the petition against Sukhwinder Kaur. Sukhwinder had registered a complaint stating that she was maltreated by her husband’s family and was once beaten so severely that it resulted in her giving birth to a stillborn child. She also mentioned that she was repeatedly harassed for bringing in more dowry, despite having given Rs 80,000 for a motorbike, besides several expensive gifts and cash after the wedding to the family members. As a result, the trial court summoned the petitioners and Harjit Singh under section 406 and 498-A IPC. Jang Singh filed for a revision of this complaint against the issuance of the process, which was partly allowed and the charges under Section 406 IPC were dropped. By this petition, petitioners Daljit Singh and others mentioned sought quashing of the complaint filed by Sukhwinder Kaur, and all the subsequent proceedings therein. The question that arose was whether the impugned complaint and the subsequent proceedings could be quashed in exercise of the powers under Section 482 CrPC. The HC said criminal proceedings were not a short cut to other remedies available in law and before issuing process, a criminal court has to exercise a great deal of caution. Jurisdiction under Section 482 CrPC has to be exercised to prevent abuse of the process of any court or otherwise to secure the ends of justice. The court also clarified that the powers of the court, while exercising powers under Section 482 CrPC, were unfettered, once the court finds that the proceedings against the petitioners are smeared with malafides. Once it is concluded that continuation of prosecution against the petitioners is an abuse of process of law, there was no need to delve into the questions of jurisdiction or to the recourse to the provisions of Section 202 CrPC. Relying on the SC judgment in Prabhu Chawla Vs. State of Rajasthan, the court reiterated the view that only because a revision petition was maintainable, would not constitute a bar for entertaining a petition under Section 482 CrPC and thus removed doubts as to the maintainability of this petition. In view of the legal position enumerated as above, a perusal of impugned complaint revealed that there were no specific allegations against the petitioners. The court observed that in the complaint, no specific overt act had been assigned to petitioners and the allegations were general in nature. Sukhwinder Kaur had mentioned that she got beatings, but never specified who beat her. As regards the demand for to buy a motorbike was concerned, the ration card of Jang Singh showed that he was living with other son Shamsher Singh and he could not have been a beneficiary of the bike. The other gifts that Sukhwinder mentioned were customary gifts given on the occasion of marriage and couldn’t be counted as dowry. The court agreed that the allegations in the complaint were absurd and wild and not substantiated with any material evidence. Referring to the SC judgment in Sushil Kumar Sharma vs. Union of India and others, 2005 (3) R.C.R. (Criminal) 745, where the question of striking down of Section 498-A IPC was raised, it was observed that in such type of cases the “action” and not the “section” may be vulnerable, and the court by upholding the provisions of law may still set aside the action, order or decision and grant appropriate relief to the persons aggrieved. Thus, with the enumerated principles in mind, the court held that the complaint and consequent proceedings were not sustainable and set them aside, and thus, allowed the petition.